Legislation has been put before the House of Representatives which is intended to make it easier for business to work within the paid parental leave scheme. Centrelink will reportedly send payments directly to new parents, rather than make employers process them first. Minister for Social Services Kevin Andrews and Minister for Small Business Bruce Billson said the Social Services and Other Legislation Amendment Bill 2013 will see parental leave pay paid directly by Centrelink from March 1 2014. “The current system requires employers to process parental leave pay after receiving an employee’s entitlement from Centrelink,” Mr Billson said. “It is unnecessarily complex, and forces small businesses to bear the costs of the extra workload and of restructuring their payroll and accounting systems. “We have listened to employers who told us the administrative burden of the current Paid Parental Leave scheme was too onerous. 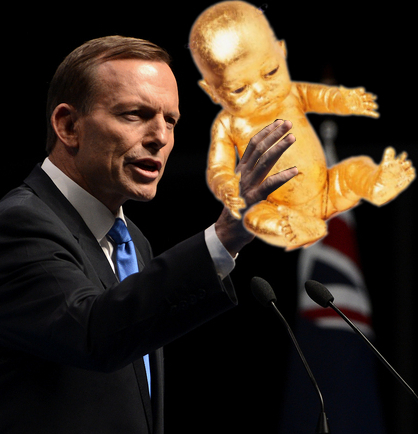 It has been seen by some as the first step towards what has been called Tony Abbott’s “gold-plated” parental leave scheme. Before the recent election Prime Minister Abbott said his government’s scheme would be based on the salary of the person applying for leave – possibly up to $75,000. Employers will still be able to provide parental leave pay to their employees, should both parties agree to the arrangement.